Un accueil très chaleureux de nos hôtes et un appartement superbe à 5 minutes à pied du centre-ville. Tout était parfait. À recommander sans hésiter. We were very pleased the property was excellent. The only difficulty we had was in trying to locate the property. It would have been good to have a landmark such as the Dauphine Hotel. The equipment was all very good and the host was very helpful. Superb flat in an excellent location a few minutes walk from the town centre and the sea ! We enjoyed our stay in Arcachon very much indeed, due in large measure to M. and Mme Freyermuth , our very welcoming and attentive hosts.! The upstairs flat is light and airy and equipped to an exceptionally high standard, designed to provide home from home comfort. The balcony is a welcome feature to relax on in the evening air. We are happy to recommend this apartment thoroughly! Great apartment, very comfortable and well furnished. Really good location only a few minutes walk from beach and shops/restaurants. Martine and Gaston were great, picked us up from the train station and gave us a tour of the town. Would recommended hiring bikes and cycling to the plage du pilat and a boat trip to cap ferret. The location was great, less than 10 minutes walk to beach and shops etc. The apartment was very clean and comfortable. We only had 3 days but wished we could have stayed longer as there is much to do in the area. We certainly have no hesitation in recommending this apartment to our friends and family. 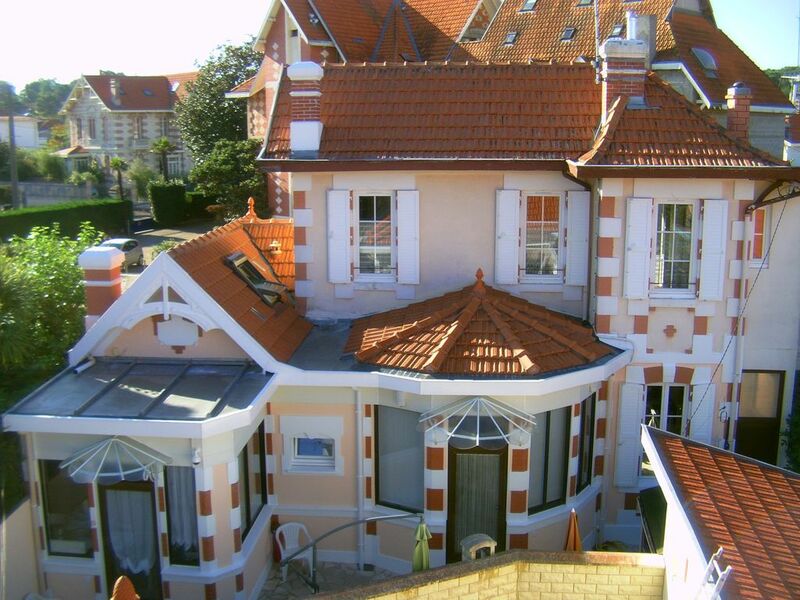 Excellent apartment in very central location - close to town, Casino and beaches/seafront. Very well equipped, modern and clean. Owners very friendly and helpful - showed us where to go and where to eat. Nothing too much trouble. Would have no hesitation in recommending this to apartment to anyone. We had a very enjoyable five days here. We hope to return and would book this apartment again.